This crew list shows the typical range of ages and national origins of crew members on American sailing ships in the late nineteenth century. Note how many foreign crew there are, and that half are not able to sign their own name. Also note that the person who filled out the form was a little careless, as we are sure that not every crew member was dark-complexioned and had black hair. 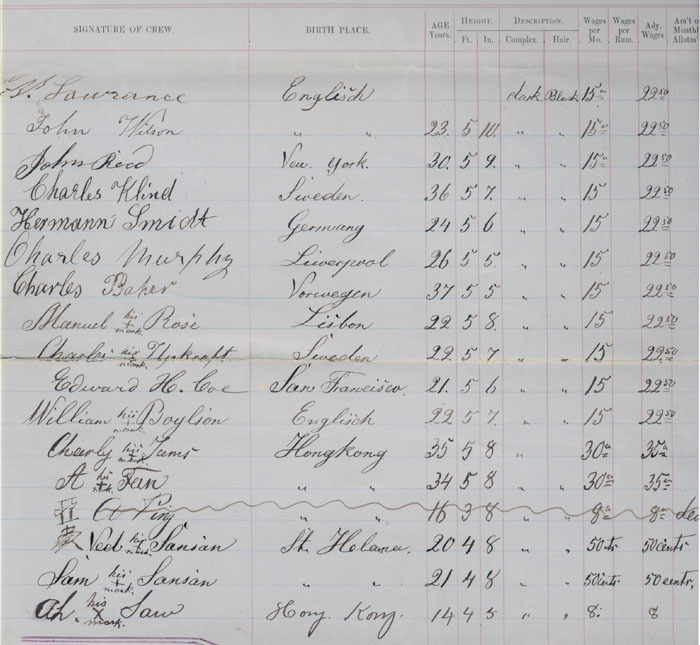 The oldest crew member was 37, and the typical seaman's wages were only $15 per month!